The Barakah Nuclear Energy Plant in Abu Dhabi ... work on the Arab world’s first nuclear power plant is 90 per cent complete. Work on the Arab world’s first nuclear power plant is now around 90 per cent complete, with the most recent milestone achieved on the project having been the successful completion of hot functional testing (HFT) on Unit 2 of the four-unit Barakah Nuclear Energy Plant in the UAE. The $32-billion plant is being developed by the Emirates Nuclear Energy Corporation (Enec) at Barakah in the Dhafrah region of Abu Dhabi on the Arabian Gulf coast, 53 km south-west of the city of Ruwais. More than 19,000 construction workers are currently at the site building the plant to the highest standards of safety and quality. Korea Electric Power Corporation (Kepco) is Enec’s joint venture partner and prime contractor while subcontractors include the Hyundai-Samsung Joint Venture (HSJV). Al Hammadi ... many lessons learnt from the project. Construction work on Unit 1 began in 2012 and was completed in March this year and the plant has been handed over to Nawah Energy Company for preparation to operate, pending regulatory approval. Nawah is an operating and maintenance subsidiary of Enec and Kepco. Work on the other three units at the plant is reported to be progressing safely and steadily. As of July 2018, the construction of Unit 2 was 93 per cent complete, Unit 3 was 84 per cent, and Unit 4 was 75 per cent complete, a spokesman for the project tells Gulf Construction. 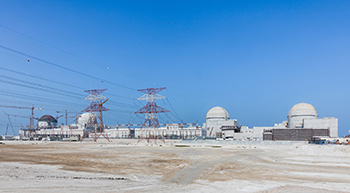 Once completed, the Barakah plant will consist of four identical reactors housed in four separate units, each with a generating capacity of 1,400 MW with a total capacity of 5,600 MW, and will provide up to a quarter of the UAE’s electricity needs from safe, clean reliable and efficient nuclear energy. This new and abundant source of low-carbon electricity, which will prevent the release of more than 21 million tons of greenhouse gas emission every year, will diversify the nation’s energy supply. Nawah Energy Company will be responsible for the operation and maintenance of the four units once it is granted the operating licence from the Federal Authority for Nuclear Regulation (FANR), the UAE nuclear safety regulator. The UAE Department of Energy (DoE) recently issued an ‘Electricity Generation Licence’ to Barakah One Company – the joint venture company owned by Enec and Kepco representing the commercial interests of the project – which is an important milestone in advance of Nawah obtaining the operating licence from FANR. Barakah One will eventually sell electricity to Abu Dhabi Water and Electricity Company (Adwec) through a power purchase agreement (PPA). In addition, it manages funds, finances and revenue and also commercial relationships with lenders. Barakah Nuclear Energy Plant ... work is 90 per cent complete. The latest milestone on the project – achieved last month – was hot functional testing on Unit 2. This is a significant pre-operational testing process that incorporated all lessons learned from the same test on Unit 1 in order to reach the highest international standards of quality, safety and efficiency. Enec worked closely with Kepco and under the observation of the FANR to achieve this major milestone. 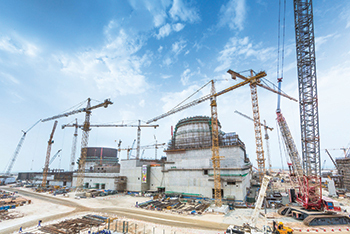 Construction of Unit 2 of the Barakah Nuclear Energy Plant began in April 2013, one year after Unit 1. HFT takes place over a number of weeks and consists of almost 200 individual and integrated tests performed on major systems to check their performance under normal operational conditions, without the presence of nuclear fuel in the reactor. The test includes the first time that most of the reactor’s systems experience the operational temperature of nearly 300 deg C and operational pressure of more than 150 kg per sq cm, which is the equivalent of 1,500 m below water. It is also the first time that the turbine is spun at its maximum speed of 1,500 revolutions per minute (rpm), demonstrating its readiness to operate once the reactor starts up for normal operations. In July, Enec achieved a series of significant milestones in the construction of Unit 3, having successfully completed key construction work including major concrete pouring, installation of the turbine generator, and the internal components of the reactor vessel (RV) of the unit, paving the way for the commencement of testing and commissioning of the mechanical and electrical systems. Construction crews have since begun transitioning from Unit 3 to Unit 4, taking with them the lessons learned during their construction of Units 1, 2 and 3. The completion of major construction work on Unit 3 comes approximately one year after the completion of the similar work on Unit 2, and two years after the completion of the same work on Unit 1. In addition to completing major construction and concrete work, Unit 3 is now fully connected to the Abu Dhabi Transmission and Despatch Company’s (Transco) transmission grid, following the safe and successful energisation of the unit’s standby auxiliary transformers and auxiliary power systems. Meanwhile, in April, Enec achieved the successful completion of the reactor containment building (RCB) dome for Unit 4. The unit’s reactor coolant loop (RCL) pipe welding, and the setting of key equipment have also been completed. The completion of Unit 4’s dome structure signified that most of the main construction activities at the Barakah plant are drawing to a close. The dome was the final structural component of the RCB, which measures around 70 m in height. The RCB houses the nuclear reactor vessel, steam generators and other major components. Built out of concrete and heavily reinforced steel, RCBs are ranked among the strongest structures in the world. The successful and efficient completion of welding of the RCL – which plays a key role in transferring heat from the RV to the steam generators – is another key step towards the start of major testing for the systems of Unit 4. Construction work on Unit 1, meanwhile, was completed in March this year and the project shifted its focus to completing operational readiness preparations required to obtain the approval of the operating licence by the FANR. Nawah has recently (in May) completed a comprehensive operational readiness review to generate an updated schedule for the start-up of the first peaceful nuclear energy reactor in the Arab world. The results of Nawah’s review forecast that the loading of nuclear fuel assemblies required to commence nuclear operations at Unit 1 will occur between the end of 2019 and early 2020. Only after all preparations for nuclear operations are successfully completed, and Nawah has received an operating licence for Unit 1, will operators begin to load nuclear fuel assemblies and initiate operations. During 2017, Enec and Kepco achieved a series of other construction milestones on the units of the Barakah Plant. The main power transformer (MTR), excitation transformer and unit auxiliary power transformers (UAT) at Unit 2 were energised, and the reactor containment liner plate rings, reactor vessel, steam generators and condenser were installed on Unit 4. The Barakah site was selected based on an evaluation of a range of environmental, technical and commercial factors, including: seismic history; distance from large population centres; proximity to large supplies of water, existing electrical power and infrastructure; favourable construction; security and evacuation route conditions; and ability to minimise environmental impact, according to Enec. 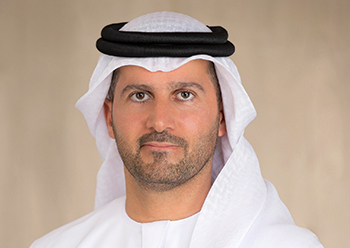 Al Hammadi says the Barakah plant’s design has been adapted to suit the UAE’s unique climate conditions and requirements of FANR. The nuclear power plant will be equipped with Kepco’s Advanced Power Reactor APR1400 nuclear reactor technology comprising a third-generation, 1,400 MW pressurised water reactor (PWR) with an operating life of 60 years. “The APR-1400 combines the latest developments in safety and performance with technology proven over decades of operations and is based on the System 80+ design, certified by the Nuclear Regulatory Commission (NRC) in the US,” Al Hammadi explains. More than 1,400 local companies are involved in the programme, with contracts totalling more than Dh14 billion ($3.8 billion). The companies include Descon Engineering, Bin Asheer, National Marine Dredging Company, the Western Bainoona Group, Emirates Steel and Dubai Cable Company (Ducab).